Ci Distribution Showcase Partners at PCR Boot Camp North! On the 18th November, Ci Distribution attended PCR Boot Camp North to showcase the last rugged tech from their new and long standing partners. 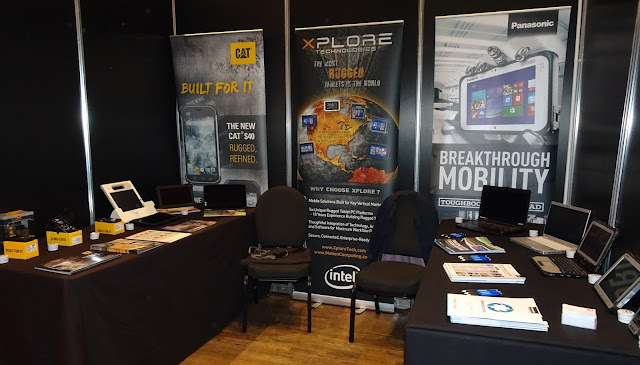 Alongside Panasonic, Xplore and Caterpillar, Ci demonstrated their capabilities as a fully mobile rugged solution provider. With tablets, laptops, phones and hybrid's resellers are able to purchase all the tech needed for those who demand more from their devises. with a targeted audience of tech retailers, resellers, etailers and system builders. Ci distribution have a new microsite where you can find links and info about their full rugged product range.